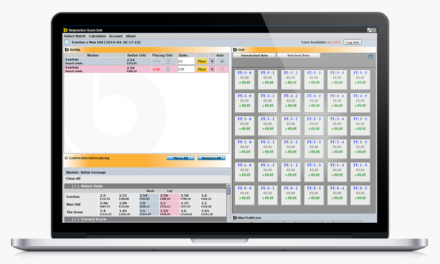 Betfair.com is the biggest sports betting exchange. In Betfair the players bet against each other and not against the Betfair itself. Because of this, the stakes ratios are higher here than anywhere else. 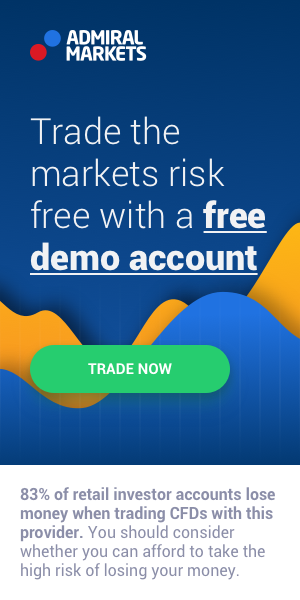 Another difference is that in the betting exchange you can not only buy stakes, but also sell them, which opens up new money earning possibilities – sports trading. The idea behind it is the same as in the currency, stock and product markets – to buy cheaper and sell at a higher price. The difference is that the ratio is affected by the performance of the team or the sportsman. Football is the world’s most popular type of sports. Numerous football games take place every day in various countries of the world. To make the games more interesting, trading exchanges offer to predict the outcomes of the games and place bets on them. Betfair.com also offers this opportunity, as well as a chance to trade or speculate with the stakes. The aim of the trading is to create a situation when, no matter what the outcome of the match is, you are still the winner. The main goal of sports trading is to create a situation when you are in profits no mater what the outcome is. Let`t get to the point! 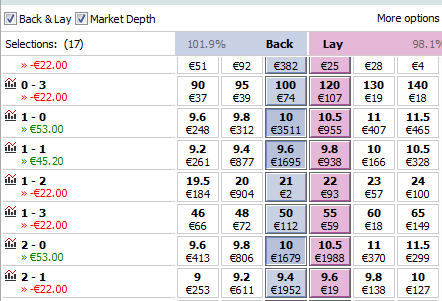 Lay The Draw is the most popular Betfair football trading system. This Strategy is mostly used by beginners. If you apply this strategy to the correct type of match, you are almost guaranteed to profit 100% of the time. 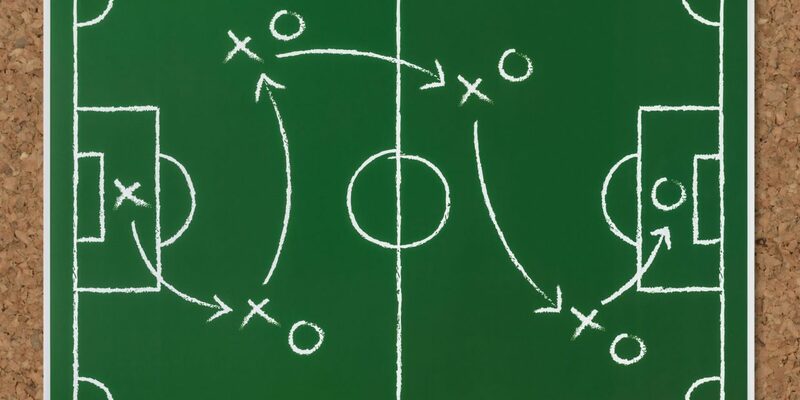 The concept of this strategy is very simple – when a goal is scored in a football match, the prices of all the match outcomes (home win, away win or draw) changes. How it changes depends on many factors such as which team scores the goal and the time of the goal. In this strategy we are trying to lay the draw before the kick-off, and back it at higher price after goal is scored, therefore securing a great profit. The liquidity in the market should be at least 40 000. If still 0-0 when the draw price hits 2.0, “red” up and accept the loss. Socrates strategy is a variation of the Aristotle and Clint strategies. It is designed to maximize profits and reduce the losses and does not require a lot of in play management. Using exact match selection criteria as in the Aristotle and Clint strategies, the Socrates becomes a simple trading strategy for beginners to implement. We take our positions in the market at the start of the match and only need to make any moves if the score is 0-0, or 1-0 after 60 minutes. Because of its simplicity it is possible to trade multiple matches at the same time. The edge in this strategy lies in the selection of right matches, the probability of teams scoring over 2.5 goals and how often these teams play a match where Both Teams are scoring a goal. 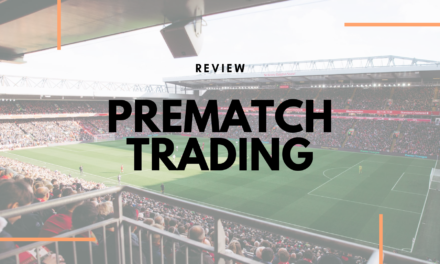 In this trade we are looking to win in two markets – Both Teams To Score and over 2.5 goals market to maximize our winnings. In matches where one side scores 6 goals are often a consolation goal to loosing team which would give us double win. How this strategy is played? We are looking for football matches where the odds of Both Teams To Score and Over 2.5 goals markets are over 1.80. € 12 back bet on Correct Score 1-1. In the images above you can see a Correct score visualization of outcomes of this strategy. 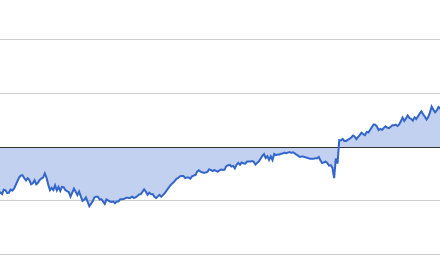 As we can see, the ROI if the bet lands is almost 50%, which is quite a lot. You do not have to do any adjustments, unless the scoreline is 0-0 or 1-0 after 60 played minutes. If the scoreline is 0-0 at 60 minute mark, green up 0-0 scoreline and scratch 1-1 scoreline. You will also have to take a hedged red on over/under 2.5 goals and Both Teams To Score markets. If the scoreline is 1-0 then green up 1-1 scoreline, and make a scratch trade on over 2.5 goals market and take a loss onBoth Teams To Score market. Any other scoreline will give us an edge in this trade. If the scoreline does not change until 80 minutes then we need to take a look at it and make some adjustment if needed. At that moment we can exit the trade or stay in it with a hope of win on 1-1 scoreline, over 2.5 or Both Teams To Score. Ideal would be a win in both markets – Over 2.5 goals and BTTS. The downside in this strategy is 0-0 scoreline or two goals scored by one team. We can take an extra insurance position on 0-0 for a winnings of € 50. We can also take a small cover on 2-0 scoreline by backing 2-0 and 3-0 when the score is 1-0. This is one of the most popular trading strategy on Betfair exchange. Over/Under 2.5 goals market is right next to the Match odds market in terms of liquidity. This Betfair trading strategy is based on teams scoring Over 2.5 goals and that happens a lot! Using this strategy we will use two markets Over/under 2.5 goals market and Correct score market for cover. Over 2.5 means, we need to see at least 3 goals in the match. This strategy is low-risk, because if the favorite scores at least 1 goal, we will be at non-lose point or scratch. Then we will have to wait only for 2 more goals for profit. But this strategy is not for newbies at it requires certain ability to adapt and trade in two different markets at the same time. Back bets on Correct scores 1-0, 2-0, 1-1. These bets must cover losses on Over/Under 2.5 goals market. As we can see if score turns 1-0 we cant lose anymore as next possible scores are covered (1-1, 2-0) and other possible scores are over 2.5 goals which means profit. If the favourite scores first goal early in the game, we can exit the trade with profit without waiting the game to end. If the odds on over 2.5 goals are higher, we can make a small bet on 0-2 in favor to underdog. Correct score grid view is one of the ways how to see the full picture of Betfair trading strategies. There is a software called Betpractice ScoreGrid, where you can see on which scorelines you will win and on which loose. In this example you can see that if the favorite team scores a goal, then we have guaranteed a scratch trade. The only dangerous results are 0-0, 0-1 and 0-2, which are quite unlikely to happen. If wee look at the ROI figures for this football trade, then it is only 18% if there is over 2.5 goals in the match. Of course scoreline 0-0 is the worst, where we loose all our bets in both markets. Therefore if you are watching the game and favorite is not at the best form and score at the halftime is 0-0 it is advised to leave the markets with a loss. Another option is to place a bet from the potential profit on scoreline 0-0. The odds on 0-0 will be shortened to about 4.0. By doing this, the only dangerous scoreline will be 0-1 in favor to underdog. Over 2.5 goals is a great strategy for games where you are expecting goals. By the way, you only need one goal for strong favorite and you are in the safe spot! 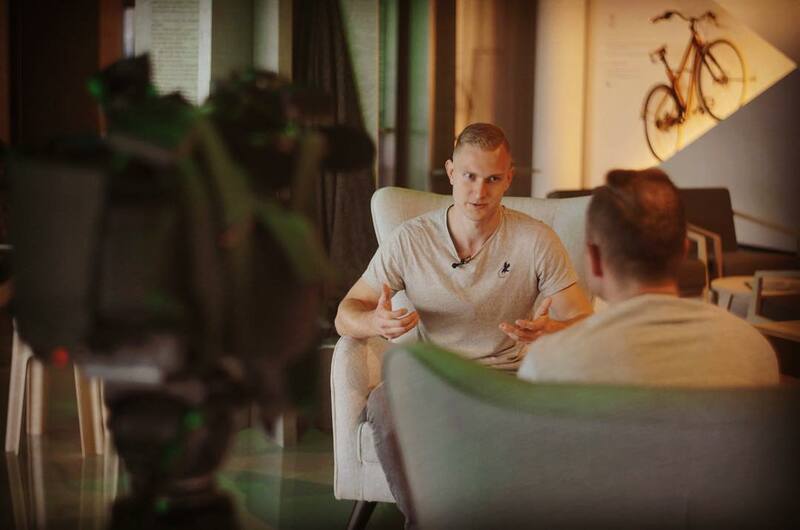 The potential profit is not huge – about 30% of the liability, but if you choose the right games, you will be in long term profits! The Aristotle trading strategy is Over 2.5 goals market Football trading strategy with insurance positions in correct score market and Under 1.5 goals market. By doing a statistical research on the probability of over 2.5 goals scored in a football game and entering the market when the odds of over 2.5 goals are in our side. We’re looking for matches where there is a good statistical chance of both teams scoring, yet a price on over 2.5 goals of at least @1.90 (ideally higher). Where the price of over 2.5 is lower than @1.7 there is no value for us so we must wait to get involved. € 28 (or 28% of the stake) back bet on under 1.5 goals. In the Correct Score grid above you can see how pr-game bets looks on this strategy. As you will have to implement moves in play, we can not calculate the probable ROI of this trade. If there will be no goals scored early in the game, the odds of under 1.5 goals market will lower – that will create a profit to cover some of the potential loss on over 2.5 goals which, logically will be moving against us. From the 23th minute of the game we should green ip Under 1.5 goals market as the first goals statistically are scored from the 24th minute of a match most often. When the first goal is scored, a part of liability from over 2.5 goals market can be removed, and when the second goal is scored we can already hedge out for a profit. If the underdog team scores the first goal we can place a lay bet off half our stake on 1-1 in order to reduce our liability on other scores to € 7. If the result becomes 1-1 we can then lay off one more time for around € 25 to create a scratch on 1-1 and € 20 on all other scorelines. When a football match goes as expected we can get a solid return of 20-80% of invested money. If you want to make money on Betfair Football markets, then you will need to match the right football games with the right trading strategies. In match-ups where the calculated probably is more than 60% we will have a qualified game for trading and will look for odds of the right value to recommend a trade. A dreaded 0-0 draw will make us loos all our stake. We can make an insurance bet on 0-0 or Under 0.5 goal markets for a half of our stake. In this Betfair football trading strategy we are looking for a strong home side and odds of Over 2.5 goals market of 1.90 or more (ideally – 2.00 to 2.10) and Under 1.5 goals market is 3.60 or more. The ideal scenario in this strategy is that both teams scores a goal, perfectly the game ends with 2-1 or 2-2. You should also look in H2H statistics for recent games that has had goals and 1-1 games. Bets in this strategy are placed before the game starts. This trading strategy similar to the Aristotle strategy as the returns are 20 to 80% return if the game goes our way. € 20 back bet on Correct Scores 2-1 and 2-2 (you may back only 2-2, if both sides are evenly strong). In Clint football strategy the over of 2.5 goals market should be at least 1.90. In some games, where the Scoreline 2-0 seems quite possible you can split the 1-1 and 2-0 Correct score cover bets. As you can see in Correct score grid example above, the most dangerous scores in this strategy are 2-0 and 0-2. If the result becomes 1-1 at some point of the game, then we are in a really comfortable trading position as the maximum loss is only 10% of our stake, but probable profit is 200%. This strategy can be very profitable if you can choose the right games to trade! Usually Over/Under bets are placed on 2.5 goals market. This Betfair trading strategy is based on Over 1.5 goals market, which is a more reliable market to place bets, because you will need only two goals in the game to win this bet. In this strategy we will be trading Football under 1.5 goals market. Over 1.5 goals means, that there needs to be 2 or more goals scored in the match. In this strategy the bets are placed only when the game has started or in-play, but never before the game. The odds of Under 1.5 goals market tends to raise fast. On average the odds for Over 1.5 goals are 1.30 or more before the match. That is not enough to make a profit in long term. That is why you should not enter the market before the game. Sit back and just observe the match. Each minute without a goal will raise the odds. After 15 minutes in the game, the odds should be at about 1.45. After 30 minutes in the game the odds should be about 1.70 and if the first half will be goalless the odds usually will rise to 2.0 or more. And that is what we are looking for! At this time we are going to place our bet. You can place your bet in the 40. minute of the game if you want or you can wait till the half time. The later you will place your bet, the bigger your profits will be. When the goal will be scored, the odds will drop significantly, usually back to 1.50 or less, if the goal will be scored till the 60th minute of the game. Then we can immediately trade out for an overall profit. The time of the first goal will determine the profits. If the first goal will be scored between 46th and 55th minute then profits should be around 50% of bet amount. And it happens regularly! In this strategy we are looking to place our bets after 30th minute of the game ,remember that. After this time have passed without goals, check the odds of Over 1.5 goals market and if they are 1.50 or more make your bet. For extra security, you can also check the in-play statistics. If the last matches of teams have gone over 2.5 goals for both sides or at least the home side, make a bet. If the goal is scored in the first 10 minutes of the game, this strategy is not suitable anymore. This is a great universal betting strategy. The only minus is that you will have to follow the games – you’ll have to watch the games on your mobile phone or in some live-stream or at least keep an eye of live-scores and that will take a lot of time. If the goal is scored till 60 minutes of the game, after you have placed a bet, you will make profit if you green up. You can also leave the bet and wait for one more goal.